I will definitely like this cake because it's much healthier! 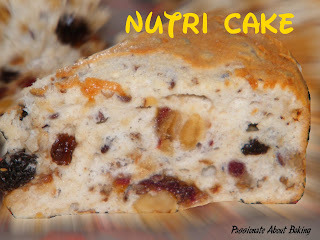 I think if not adding too many raisin or nuts then it might be much easier to fold the mixture. Will you try out some chocolate recipes from that book? 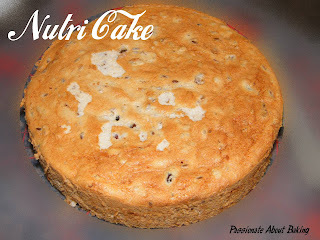 Please share some good recipes, I really wish to learn this kind of nutritious cake. Cheers! When I was making the cake, I was actually thinking of you. Thinking how much you would have love this cake too! It's so healthy right? Ya, maybe if I don't add wlanuts and raisins, it might be easier. I'll probably try again next time! You try it and let me know ya? 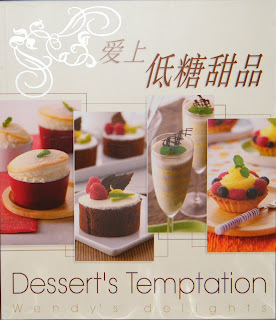 Hi Jane, I also own this book, my husband bought for me one year ago but so far I only tried two recipes from the book :( the cake u made is one of those I have bookmarked but yet to try due to my laziness to prepare the various ingredients. Wow, what a nice recipe. I think I should go grab this recipe book. I will sure make this healthy recipe. It's kind of like an angel food cake? Looks very soft and fluffy! Yup. If you are health conscious, this recipe book is sure for you! Yes, it's really soft & fluffy. My husband bought this book at Popular book fair for me at $5 only, store is selling $10++.